Please note: The Life Events section of the Service Ontario website lists many important events we may experience throughout our lives. The list will guide you through all the things you need to do when such an event happens. 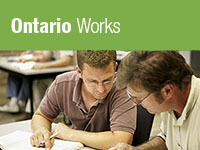 If you do not find what you are looking for below, please visit the Service Ontario website.